It has been one hell of a ride for Paramore‘s self-titled record. The reception for this most recent effort has been magnanimous and has changed the game for both the band and its fans. As the pop-rock frontrunners approach the end of this cycle, they are very excited to announce that they will be heading out on tour in support of Paramore one last time. Joining them will be their longtime pals and fellow frontrunners, Copeland, whose most recent record, Ixora, has also received an immense amount of praise this past year. This will definitely be one for the books as it will be Copeland’s first full U.S. tour in five years. Tickets will be available to the general public on January 30 at 10AM EST, while paramore.net subcribers will be able to purchase tickets on January 26 at 9AM EST. All will be available via LiveNation. You can check out a gratitude-filled statement from the band below. More details regarding this tour are also available after the jump. 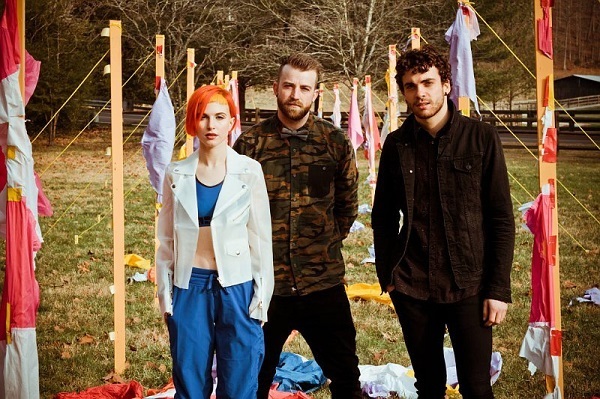 “It feels right to bring the Self-Titled era to a close. We’ve had a very personal and hugely triumphant journey with this one. What wouldn’t feel right is saying goodbye to this time in the band’s career and not celebrating it with our fans in some special way. So we’ve decided to do one last little run with it. Smaller shows, beautiful theaters…and we’re not calling it a tour, by the way. Each night will be a little event, or as we said just a few seconds ago, a celebration. As we acknowledge the past few years (and more) of everything we’ve been through together, we’re also looking forward together at all there is to come. Another way we want to celebrate our journey thus far, is to bring out a band who helped us in our most humble, playing 500 beats faster than we should, terrible hair, beginning. We might’ve never gained any traction on the road had they not allowed us on their tour almost exactly 10 years ago. So if you’re coming to one of these shows make sure to get there early for Copeland. Lastly, thank you to anyone and everyone who made this album a milestone in Paramore’s career and in each of our lives. We started this journey 3 years ago, desperate for any sort of future at all! Now we are standing taller, more confident, knowing that we are the ones who write our own future. This means you too.